All Of Us Or None Archive. Gift of the Rossman Family. inscription: Bottom right corner has "Bevi Stabler '66" printed in white." 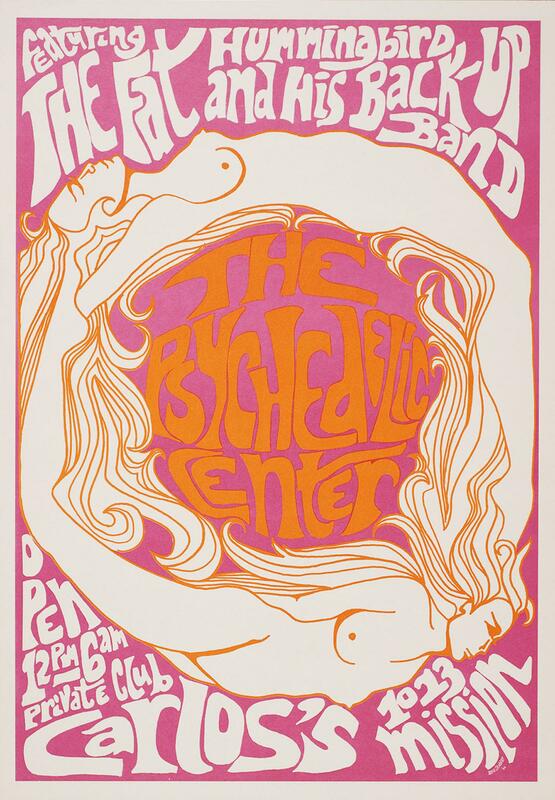 Poster has a bright pink background with white and orange text. In the center are two orange outlined women forming a circle. 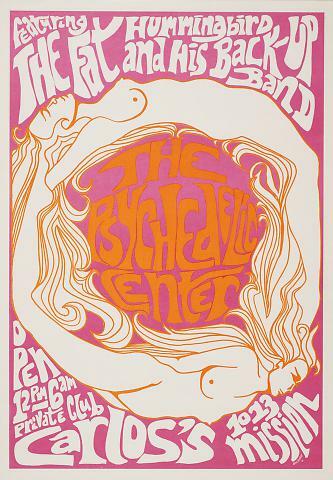 In the center of the circle is "The Psychedelic Center" in orange lettering. Around the edge in white is, "featuring The Fat Hummingbird and His Back-up Band/ O Pen 12 PM - 6 AM/ Private Club/ Carlos's 1013 Mission."